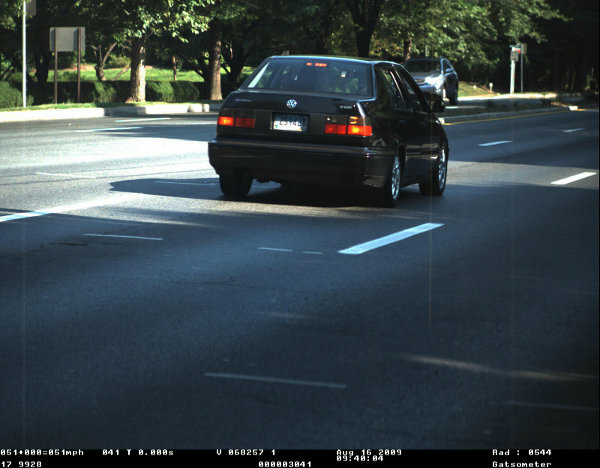 I realized there IS a good side to speed cameras: sometimes, they catch you just when it’s a lovely Sunday morning, just after you’re car’s been nicely waxed, and then you get a souvenir photo! Apparently I was doing 51 in a 35! Or was it a 30mph zone. Either way, that photo definitely made the ticket more palatable! I found this graph the other day of J.D. 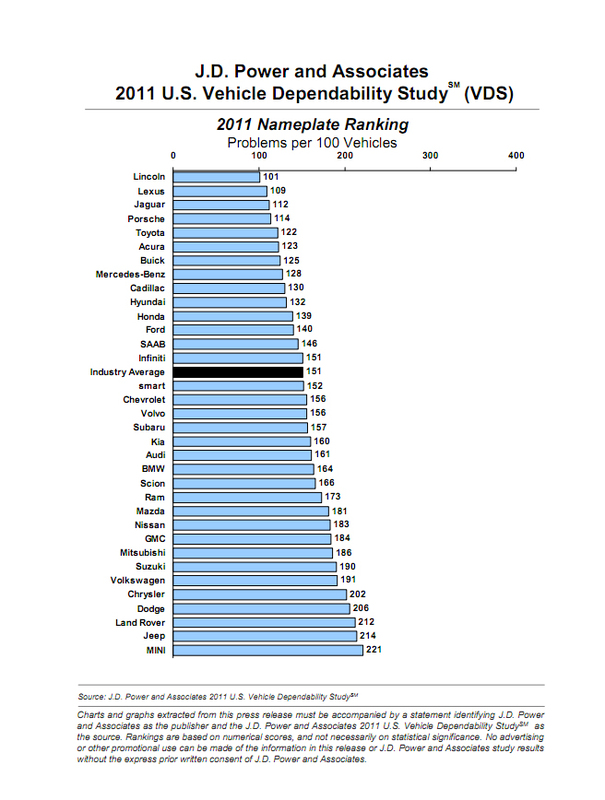 Powers’ Vehicle Dependability Study and was quite astonished at where some brands showed up. Before one gets excited because their favorite brand is higher or lower on this chart, one has to consider THE most important element here– WHO SAYS THIS? So amazing that Lincoln is the best made car, isn’t it? Wait– no, this means that Lincoln OWNERS report the least problems. Given that most Lincoln owners are geriatrics unlikely to notice any problems until their car is on fire, I’m mostly surprised this has not been the situation for years now! Lexus is predictably high up, but Jaguar? There’s a brand that still regularly gets the stick for being “unreliable” because of a reputation it earned back in 1982. Too bad, because modern Jags have been pretty nice for a while now. Mercedes has more recently had a reputation for being less reliable thanks to its crop of late 90s Chrysler-era cars. Many insiders have pointed out their more recent improvements, though, hinting at the brand’s intention to reach the high standards of their earlier vehicles. As an owner of a 1993 car, I can’t say HOW many times I use my Mercedes that I talk about how well put together everything feels. Even compared to my BMW of the same year, and most certainly compared to modern Japanese econoboxes. All that being said, I like seeing this graph as a rough estimation of where some companies are falling / rising. But in the end it always makes me wonder: who really pays proper attention to what this says? As in– it is SO riddled with the unpredictability inherent in the demographics of who buys certain cars. For example, I KNOW most buyers of Toyota Corollas consider a vehicle that is moving forwards and backwards to be in perfect running order: they will not report a rattle, or a slight variation in rpms, or a door that doesn’t quite “thunk” properly. On the other hand, the owners of a Porsche or a Volkswagen, or an Audi are far more likely to discern very small flaws in their vehicular operation which then they are more likely to complain at the dealership etc. about. So that makes it more impressive when Porsche is up top, but not that distressing when Mini is not. Similarly one might think Hyundai is making better vehicles nowadays (and they are, compared to 10 yrs. ago for sure), but people who are going to buy Hyundai’s probably wont think it’s much of a big deal if the wind noise inside is high, or if the radio emits a squeak! So there it is, another statistic, just for the fun of it: 80% of drivers actually never learned anything after the first year of their driving career!